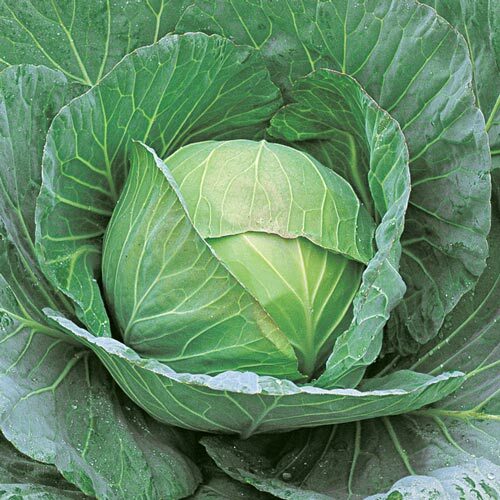 Cheers Hybrid Cabbage | Gurney's Seed & Nursery Co.
5 lb., blue-green heads with large protective wrapper leaves. Has a short core so more of the head is usable. Highly resistant to Fusarium yellows and resists black rot. 75 DAYS. Seed Counts: One packet of seeds contains about 100 seeds and sows a 50-ft. row. Fruit5-6 lb round, uniform heads with large wrapper leaves.